Practice EHR provides comprehensive document management capabilities allowing you to minimize paper use. All patient documents are stored securely online as part of patient records. Practice EHR offers unlimited cloud storage space at no charge. 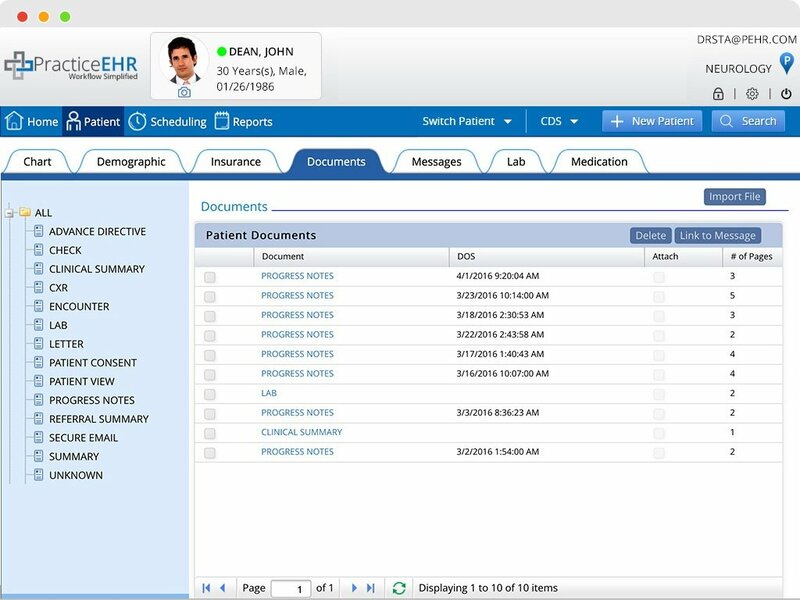 Seamlessly integrate scanned charts, fax referrals, clinic paperwork and more into your new EHR with a single click. Wide variety of patient document types are supported. Several means are provided to receive document electronically into the patient records; such as scanning, file import, and fax. Similarly multiple methods are supported to send document out of patient records; such as paper printing, file export, and fax.